Well its here! The craziest time of the year…until the spring concert hits! All of my classes are continuously practicing their songs and compositions for our holiday concert next week, so that is taking up a majority of our 30 minute class time; however, I still need to fill the few minutes here and there that come up in between. What’s a music teacher to do? Here are 4 simple lessons that you can stretch out or shrink to fit your classroom time needs! 1. What instrument is in the mystery bag? 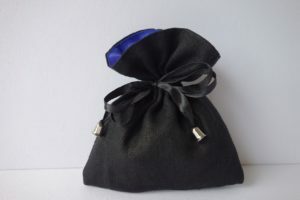 Today I put various shakers and bells in extra Note Knacks bags. I had their counterparts on the rug so that the kids could match them. They had fun listening and trying to figure out what bag went with what instrument! 2. 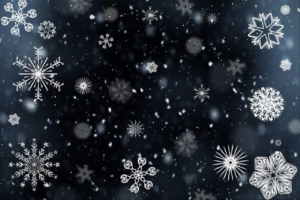 What does snow falling sound like? Have kids think about what snow would sound like when it falls and when it hits the ground. Look at all of the instruments you have in your room and let them choose. You can even extend it with questions like: would there be several short sounds or a few long sounds? …or would they switch from short to long while falling? …or when they hit the ground? Other sounds to be created ~ Reindeer? Santa? Elves? Skiing and other winter sports? Etc.…. I know I have mentioned these before, but I love them!! 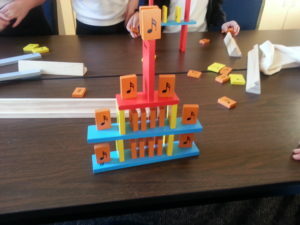 I love it when kids create a sculpture with Note Knacks and then sing what they have created!! 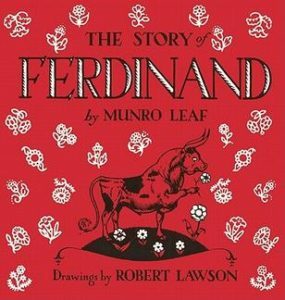 You can choose any story, really, but here are a couple of suggestions ~ “The First Music” by Dylan Pritchett and “The Story of Ferdinand” by Munro Leaf! Please let us know your “go to” lessons for this time of year! We are all in this together! !